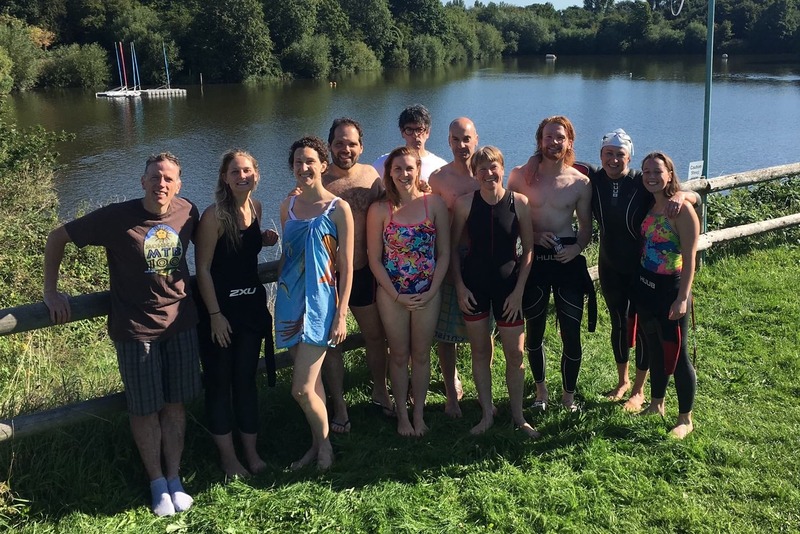 We offer a friendly welcome to adult swimmers and triathletes who are looking to keep fit or compete. Our fantastic volunteer coach, Jesse Kelly (aka ‘Coach Kelly’), leads sessions catering for differing levels of fitness and speed. Our schedules include drills for technique development, sprints and longer distances in all the strokes. In London on business or holiday? Come and swim with us as a guest at £5 per session. Sorry but we don’t give swimming lessons and we cannot accommodate junior swimmers.